« Don’t Mess with Texas? Last week brought a satisfying conclusion to Governor Jerry Brown’s two year effort to bring an end to California’s controversial Enterprise Zones (EZ). Assembly Bill 93 passed the Senate with a required two-thirds vote and awaits the governor’s signature. While falling short of Gov. Brown’s original intent to completely eliminate the $700 million per year program, the bill will implement critical reforms to EZ hiring tax credits and de-fund the most wasteful aspects of the subsidy. The EZ program has been criticized in the past for failing to actually create jobs, its spiraling out-of-control costs to the state, directing the vast majority of its financial benefits to extremely wealthy companies, subsidizing low wage employers and job sprawl, and assisting a company that replaced its entire unionized work force with new workers. Last month it was discovered that two strip clubs were receiving hiring tax credits for their employees. Throughout its 27 year history, the program has never been transparent to taxpayers and recent revelations about which companies are getting tax breaks have unleashed a wave of opposition from interest groups and the public alike. In order to secure reforms to the hiring tax credits, the bill’s proponents enacted two new business tax credits, both of which would be funded with the state’s savings resulting from reduction of hiring credit activity. A new credit against the state sales and use tax could be claimed by biotech and manufacturing companies for the purchase of business equipment. Unfortunately, this credit will have no statewide or annual cap, although business purchases that exceed $200 million annually per company are ineligible. The state estimates its cost at $400 million a year. The second subsidy program enacted with AB 93 would take the form of a competitive discretionary fund. Tax credits would be awarded to major job creation-focused projects approved by a newly established California Competes Tax Credit Committee, which would control $200 million worth of tax credits per year. Only time will tell if California has traded one boondoggle subsidy for another, but it is encouraging that the new programs will be held to higher standards of accountability and transparency. Almost anything will be an improvement over the EZs, and for the time being at least, California appears to have learned its lesson. 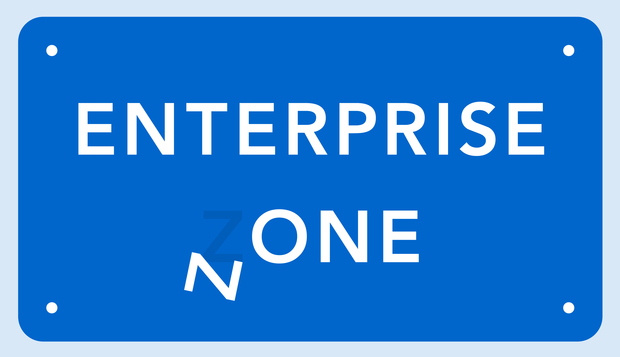 This entry was posted on July 1, 2013 at 3:00 pm and is filed under Disclosure, Enterprise Zones, Subsidies. You can follow any responses to this entry through the RSS 2.0 feed. You can leave a response, or trackback from your own site.